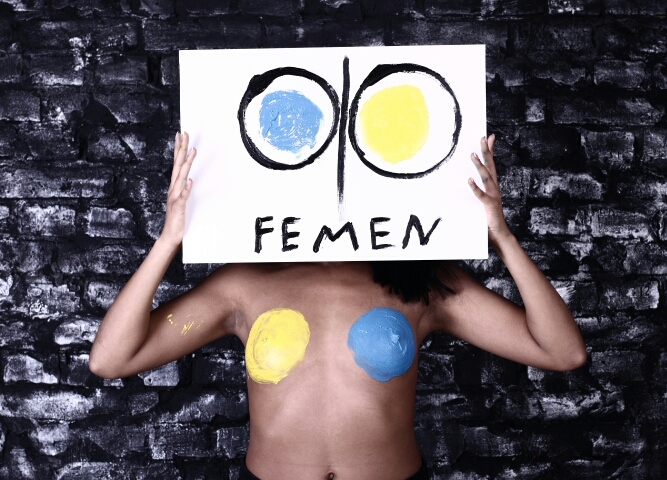 FEMEN act of sextremism took place during the joint conference of the two presidents –Alexander Lukashenko and Petro Poroshenko. The sextremist with bare breasts began to shout the slogan “Lives Belarus!” and “Stop Dictatorship!”. This happened during the signing ceremony of the agreement on cultural cooperation between the two countries. FEMEN is outraged by the arrival of dictator Lukashenko in Ukraine. Hundreds of Ukrainians died for democracy and freedom of Ukraine, and now at the official level in our country they take a man who in his country kills, kidnaps people, terrors Belarusians. Don’t shake hand to dictator!